Zack- Sold 4 guns (20 gauge O/U, 12 Gauge 870, AR15, Camo AK47) Got a new pistol Kahr CM9 (trade for AK) and got a new AK47 AMD65 in trade for my AR15. Mike - NRA Show - training w/ Mike Hughes and sirt training pistol - improved stance and good example of muscle memory - staging the trigger. 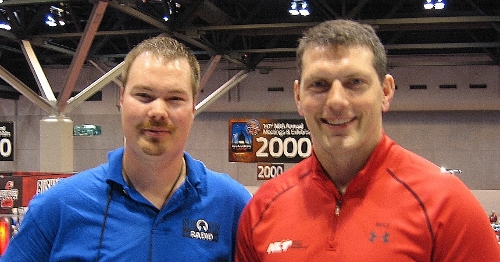 During our time at the NRA Show we had the opportunity to sit down with Mike Hughes of Next Level Training to discuss the Sirt pistol and other training products.